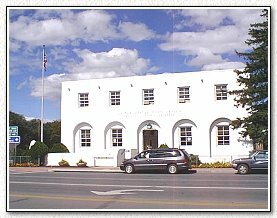 Springerville is in an area known as Round Valley, in the foothills of the White Mountains. The town, on the banks of the Little Colorado River, grew around Henry Springer's Trading Post. It was established in 1879, but was not incorporated until 1948. Springerville is in Apache County, about 220 miles northeast of Phoenix. The many lakes, streams, year-round hunting and a nearby ski resort make Springerville a true "Community For All Seasons." 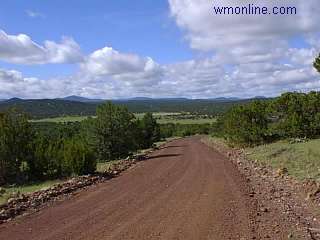 Springerville, just outside the northern boundary of the Apache-Sitgreaves National Forest, serves as its headquarters. The forest covers more than 2 million acres, including considerable wilderness and primitive areas. The community also is the northern end of the exciting Coronado Trail (U.S. 191) that meanders for 100 miles through the heart of the forest. The trail offers exceptional views of forest-meadow country, sportsmen's lodges for offtrail hunting and fishing, wildlife, and former gold camps. The trail ends in the south at Morenci with its huge copper pits and Clifton with pioneer mementos. Four rivers lie in the forest, including the Black, Little Colorado, the Blue and San Francisco. Elevations in the forest range from 3,500 feet to the 11,590-foot summit of Mount Baldy on the White Mountain Apache Indian Reservation. The Springerville Volcanic Field contains 405 vents and covers 3,000 square kilometers, about the size of Rhode Island. The field is the third largest of its type in the United States. Some of the 24 lakes and reservoirs located in the forest are stocked for fishing, and there are more than 680 miles of clear trout streams. The primitive areas are ideal for pack trips and hiking, with excellent hunting for big and small game.